We are bundling our most appreciated products so you can pass it on to your loved ones. We have designed 5 Gift Packs in total with our customers in mind. Each one is packed in a beautiful magnetic black box which helps maintain the festive feeling. Containing a variety of black seed oils and capsules, the Purist’s Pick is for anyone who loves the classics. If you want to stick to the tradition and purchase a safe yet impressive gift, get your hands on this bundle! 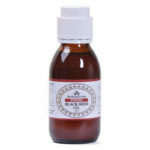 Purist’s Pick comes with a strong black seed oil that does wonders for respiratory problems and milder one that works best for eliminating allergies, improving health, immunity and your sleep cycle. 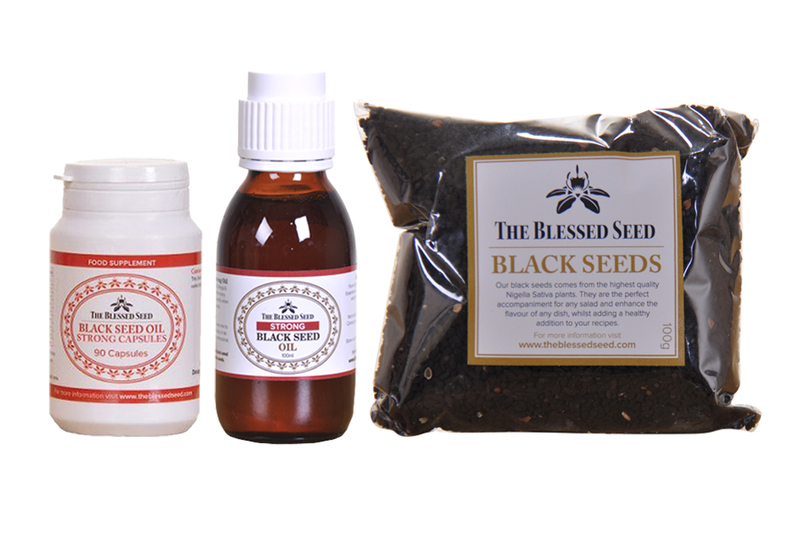 The bundle also includes mild black seed oil capsules that are perfect for sensitive people and halal gelatin capsules that are much stronger and easy to adjust dosage with as well. When you have The Blessed Seed on your side, there’s nothing to worry about. With a budget-friendly and well-rounded gift bundle including oil, capsules and black seeds, you can be sure that you aren’t missing out on anything at all! 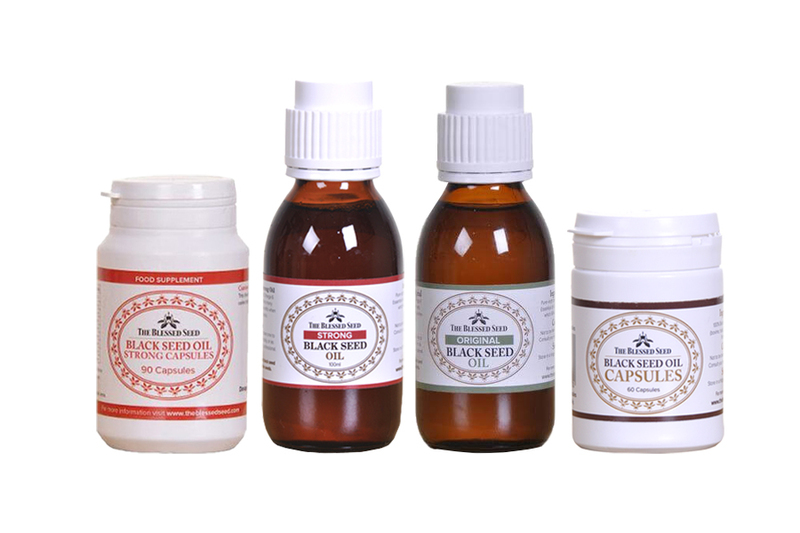 The black seed bag is incredible if you’re just starting to use black seed products and the classic strong black seed oil and 100% pure, cold pressed, and halal oil capsules will help you ease into regular use without any bumps in the road. Are you a little adventurous with your gifts? Or are you looking for the ultimate gift bundle? Well, our Signature Essentials bundle comes with a number of products that are loved worldwide! 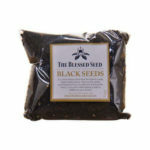 It’s great for if you don’t know what the recipient may like or want them to have all things black seed. 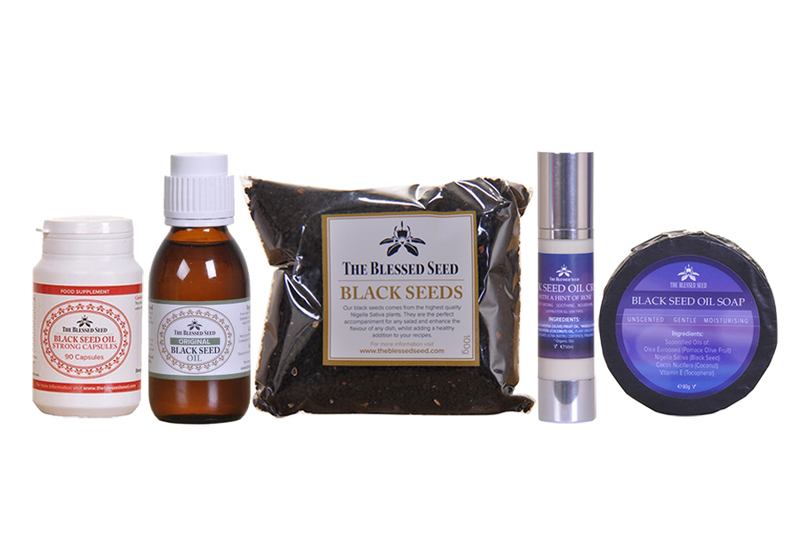 Of course, you can’t forget the original black seed oil that’s great for just about anyone. The shampoo face cream, and soap bars are made up of premium quality oils and better amazing for skin problems. And if you wanted something that would be easier to adjust the dosage with, you have the black seed oil capsules and plain black seeds too!